As anyone who knows me could tell you, it's been a long journey to get here ('here' being, as of right now, eight more chapters to edit before final publication). I'm struggling to recall when I first started writing The Two Empires, but it must have been some time before 2006. I know this because the first chapter (as it then was, which is virtually unrecognisable compared to the current version) was submitted as part of my GCSE English coursework in a 'here's one I made earlier' moment. The Two Empires wasn't my first idea for a book. The first story I seriously tried to turn into a full-length novel was a kind of modern-day Swallows and Amazons with less sailing experience but more child gang warfare. It never got beyond the first couple of chapters, but I had some cool ideas. Who knows, maybe I'll come back to it someday. My second attempt was effectively Harry Potter in space. Given my vast love of J K Rowling's books and of all things Star Wars, this seemed perfectly natural at the time. The first few chapters related what I thought was a quite plausible first contact scenario, with aliens landing around the world and taking our young hero along to develop his latent magical talents. With hindsight, the most interesting thing about it was the way I clumsily tried to shoehorn fantasy elements into a sci-fi setting. The Two Empires (and its sequels) rather turn this on its head, by approaching what is at first glance a fantasy world through a logical and analytical style more typical of traditional science fiction. I rather like it. It was I think a while between giving up on my second book and starting The Two Empires. I wanted to get it right this time, and I spent a long time planning. There's a cute/stupid story about where the first seed of an idea came from, but I'll save that for another day. By the time I started on the first chapter I had the basic skeleton of the first book pretty well mapped out, and a rough idea of where the series was going. 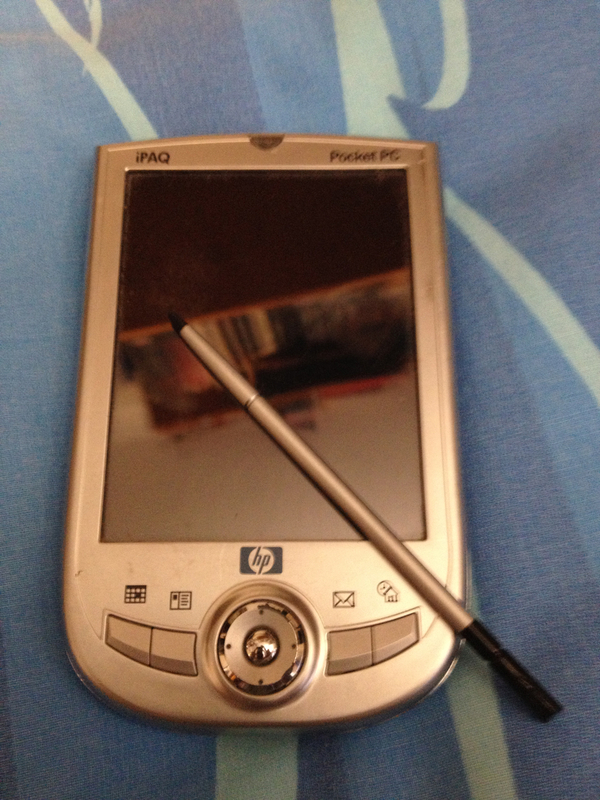 The first draft of the book was entirely typed out on my dear old HP Ipaq PDA. I certainly got my money's worth from that thing; there can't have been many that typed 150,000 words in their lifetime. It certainly wasn't as fast as typing on a desktop, but I did quickly pick up enough speed with the stylus that it wasn't far off. The point was that I could take it with me and write whenever I wanted (for those reading this in the future, this was a time before ultrabooks, iPads or even smartphones). The Two Empires was written on car journeys, holidays, and sometimes just at home. It wasn't a regular process - I could go weeks without writing a word when I got stuck, only to blast through a chapter or more in a few days once inspiration finally hit. While I knew what I wanted to happen at certain points in the story, the flesh of each chapter was largely made up as I went along. The exception to this are the last couple of chapters, which I had quite a detailed idea of in my head long before writing them. The first draft was finished in late 2008. I celebrated with chocolate chip cookie dough ice cream, which I had read somewhere was traditional on finishing a book. Of course, it wasn't really anywhere near finished. The second draft involved simply running the first draft through a spell-checker. The third draft was a big one. I printed the whole manuscript and went through it editing in pencil before making the amendments on computer. By this time of course I had 150,000 words under my belt, which was considerably more than when I started, and I'd like to think my writing style had improved a little over that time. The result was a manuscript that from a distance looked like someone had simply shaded the whole thing in pencil. I was pretty ruthless, and whole sections were either entirely re-written or removed altogether if I decided they didn't actually add anything to the story. Even where I was happy with the plot, there was hardly a single sentence that didn't get tweaked or reworked to some degree. It was quite a long-winded process. The fourth draft was more about reading the manuscript as a whole and checking that the plot made sense and everything fitted together. Of course, I still found plenty more linguistic amendments to make at the same time. Throughout the editing process there were a number of occasions where I came across a plot-point that didn't quite make sense. The temptation is to add detail to explain it in order to preserve what you've already got, but then often you find that introduces further problems that lead to further additions and eventually the whole thing becomes very contrived. I learned early on that it's better to simply re-write the original awkward point or lose it altogether. It was at this point that I finally thought the book could be ready for other people to read it. Well, that's not completely accurate: I still hated the idea of anyone else seeing it, since it certainly didn't feel finished, but I had resigned myself to the necessity of getting an outsider's opinion. I got some of my friends to read it and provide feedback, which proved to be extremely useful. When you're as intimately familiar with something as you are with your own work it can be hard to tell how someone reading it for the first time is going to understand it. The fifth draft was a response to that feedback, as I cleared up things that had been misunderstood and changed the parts that hadn't been liked. After that I kind of sat on it for a while. During this time I was planning out the remaining four books of The Malkovari War in quite some detail, and I had actually started on the first draft of the second book (it's immensely satisfying after so much editing to actually get back to writing afresh). In the process I had become a lot clearer about the direction things were going and the themes that I wanted to develop more, and so I finally produced a sixth draft in which I made sure that the groundwork was properly laid for what was to come. After the sixth draft I got some more reader feedback before embarking almost immediately on the seventh draft. At this point I had a clear plan in mind for publishing, and so I knew that this was going to be the last edit. The fear of finally revealing it to the public has driven this to become rather more of a re-write than I was originally expecting, but things are moving. Eight more chapters and one epilogue to go. Please bear with me a little longer. I think it's going to be worth it.